At Rock Solid, we’re only interested in one thing—that our customers are happy. That means we put a huge amount of time and energy into getting it right. Our crews of operators, truck drivers, and laborers all have long-standing experience in their fields and take an enormous amount of pride in their work. 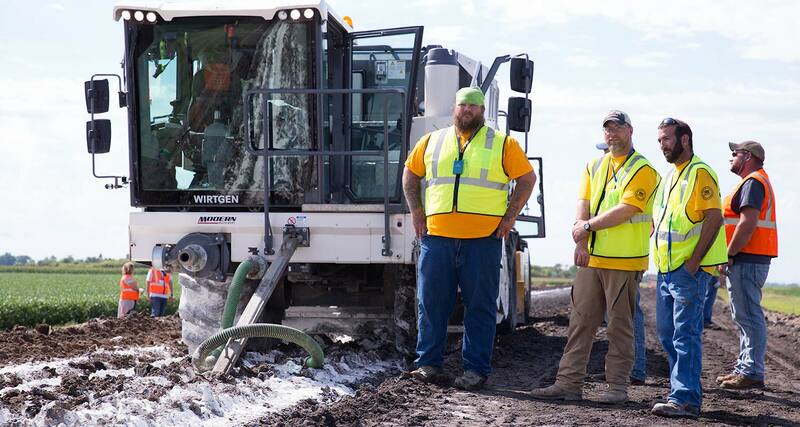 With backgrounds in excavation and road building, along with a keen understanding of the kinds of challenges our customers face, such as safety, scheduling, traffic control, staying within budget, and overall logistics, our employees are second to none. Throughout the past decade, our management team has worked relentlessly to build a customer base through good honest communication, expertly executed projects, and exemplary outcomes. We want our customers to be satisfied with the job we’ve done, knowing that we’ve given them our best, been responsive to their needs, and worked hard to save them money and time.